Recorded over the course of three months in 1962, Coltrane was John Coltrane's third album for Impulse, but his first for the label devoted entirely to his regular working group. It was also the first album on any label to showcase what came to be known as the classic John Coltrane Quartet. That group – with McCoy Tyner on piano, Jimmy Garrison on bass and Elvin Jones on drums – established itself in its four years of existence as one of the most influential ensembles in jazz, and one of the most popular as well. Coltrane documents its genesis. Customer Reviews (4.50 Stars) 2 person(s) rated this product. 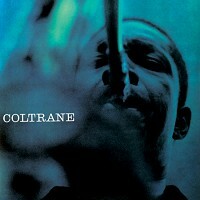 For Coltrane fans this is a must have album. His sax in a few places goes in and out a little. My guess is that he was swaying when he recorded this. The bass end is my biggest concern, it is ok but really lacks definition in the lower areas of the bass. If the notes are higher it seems to work better but there is a roll off and muddiness in the bottom end on some of the songs. Its still really worth getting this lp, just be aware of a few of its shortcomings. This music is Coltrane on his way to A Love Supreme, you hear hints of his older style and evidence of his new direction. I gave it 4 stars due to the bass sound I mentioned, but all in all be sure to pick this up.